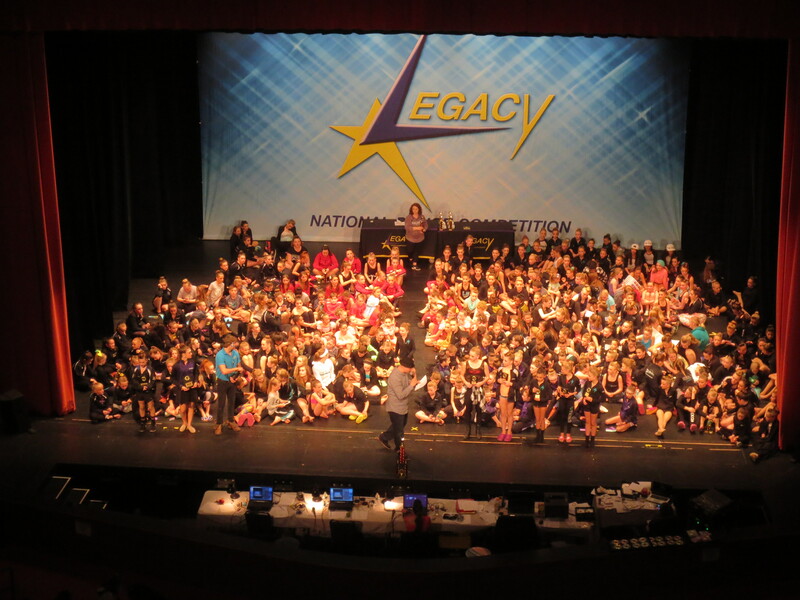 The weekend of April 15, Lake Area Dance Center (LADC) attended the Legacy Dance Championships. This competition was held at the Ames Center in Burnsville, MN. Legacy is a logistically well-run competition. They stayed pretty close to on-time most of the weekend. They really didn’t go out of order. Awards sessions were very business-like, and moved fast. They do not focus so much on the fun aspect as other competitions we have been to. While this isn’t my favorite competition, I did appreciate that they made it easy to follow the program by going in order. I also appreciated that there was a place in the program to track awards; it makes it so much easier when the awards ceremony goes so fast. The only note I had in my program about the awards ceremony, is that while the judges were giving their awards, they kept the background music turned up. It was difficult to hear what they were saying. They seemed to be having music issues all weekend, with the music turning down in the middle of dances. I think it was actually the sound people from the Ames Center having the issue, not the competition company. It was very distracting for the dancers though. 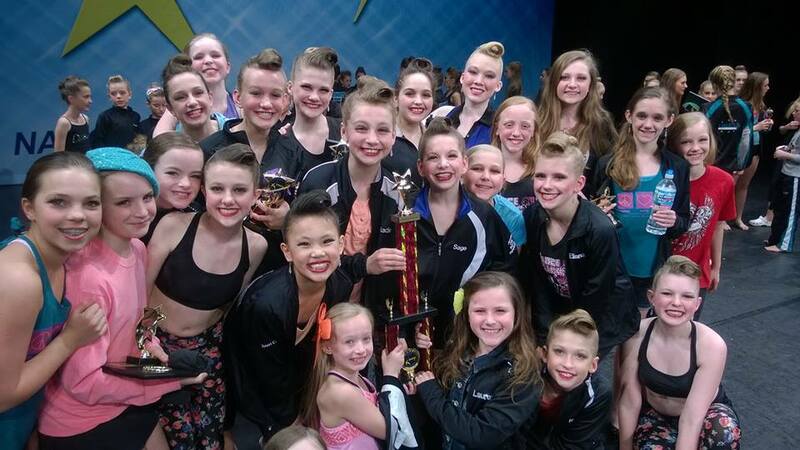 Lake Area Dance was awarded the Legacy Award for 12 and under. This means they were the highest scoring studio of the day for juniors and under. What a huge honor! 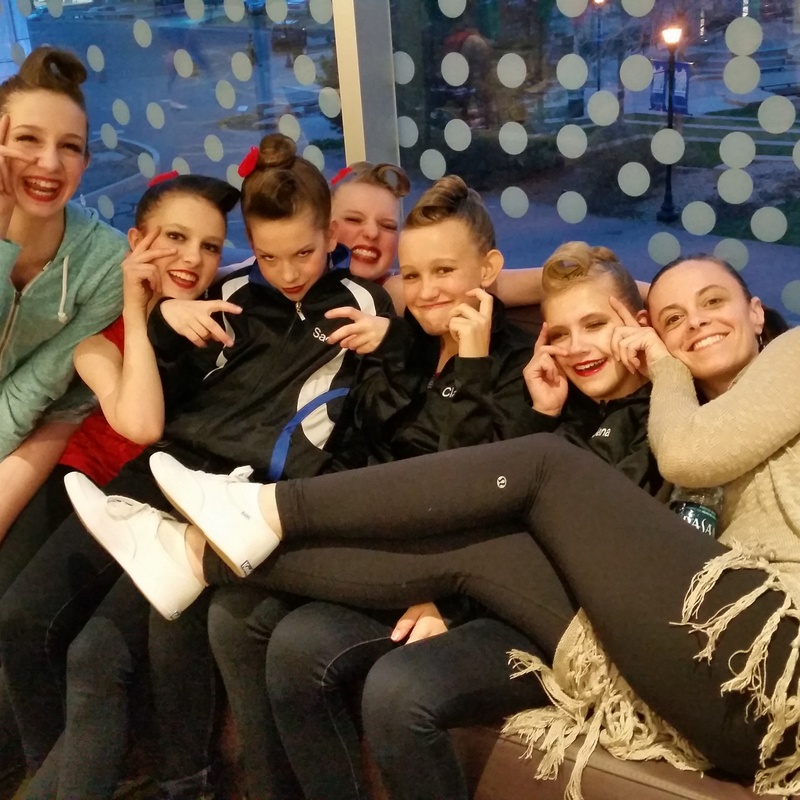 Our first day at Legacy was Thursday night for teen solos. They must have had a microphone on and cranked up to catch the tap sounds. You could almost hear them over the music. We could also hear the judges talking during the dances. Grace was very nervous, because Music General was at this competition. They are amazing tappers, and have a very cool style that Grace admires. Maria did not let her get psyched out, and Grace did very well. She scored an Elite Gold (high gold), as did most of her team members that had solos that night. It made her day to have Savanna O. from Music General (who was directly before, and won 1st overall) tell her that she did a great job! The next day we were there, was Saturday for large groups. Because of the way the age cut offs worked, they were in the junior division. First up was lyrical. They did awesome! They got platinum, and 2nd overall! Next up, was jazz. They looked great. They got platinum, and 7th overall. Their last large group dance was tap. They also got platinum, and took 5th overall. Towards the end of a long day, dancers (and their teacher) were getting silly. I love to see them having fun with Miss Maria! The 2nd half of the day was small groups. Their tap small group was great! The audience was really into it, which makes it even more fun! They got a platinum score, and 3rd overall. Sunday was the last day of the competition. LADC had their production dance that day. They werked it (yes, I spelled it that way on purpose)! They got platinum, and got 1st place for Intermediate teen production. The judges didn’t seem to interact with the dancers very much. They were barely visible during awards, and didn’t seem to be interested in some of the dances. That was frustrating. Despite the frustration, this competition was fun to attend, mainly because there was such great competition! Some of the dances I enjoyed most came from Music General, Premiere Dance Academy, and Delmonico Dance. It was fun to watch our teens and seniors step up to the challenge of competing at the advanced level. Because of the schedule, I didn’t get to see many of our younger dancers, but I know they did very well as well.